We have barely had time to get accustomed to calling it 2013 and we are already here with the first round of boot spots of the year. In the middle of the hectic English winter period, we have found a collection of really exciting spots that, among other things, include the brand new colourways from Nike. We will spice this up with awesome blackouts and much, much more. Theo Walcott (Arsenal)  Nike Mercurial Vapor VIII ACC Retro/Total Orange/Challenge red The lighting quick winger, who sees himself as a striker, has in the Christmas program given his manager, Arsene Wenger, plenty to ponder. He was given the opportunity to prove his worth as a frontman, something he demanded in their ongoing contract discussions, and this is a chance he grabbed with both hands. He has hammered in goals left, right and center and this week he scored a brilliant hatrick against Newcastle, which was enough to secure him the award for Player of the month in the Premier League. 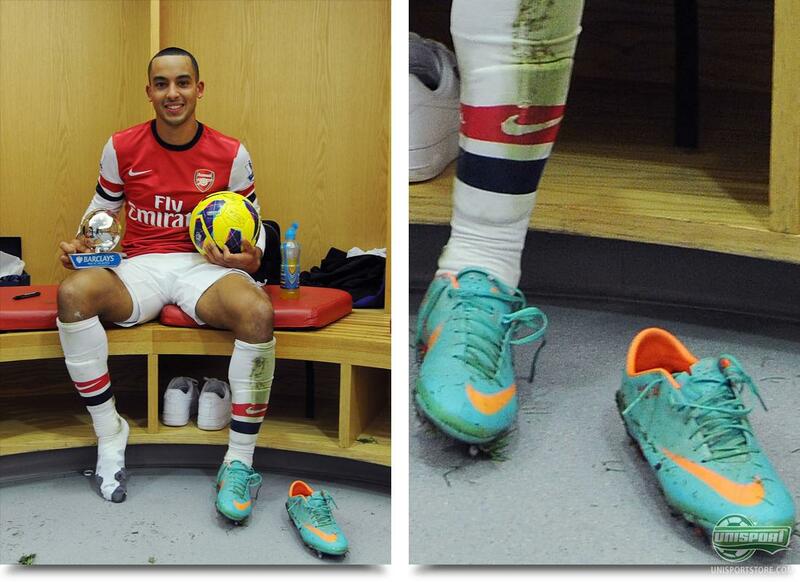 He did so while wearing his Nike Mercurial Vapor VIII ACC Retro/Total Orange/Challenge Red and this confirms what we have known for some time; that Theo will not be using his Nike GS2 White/Black. 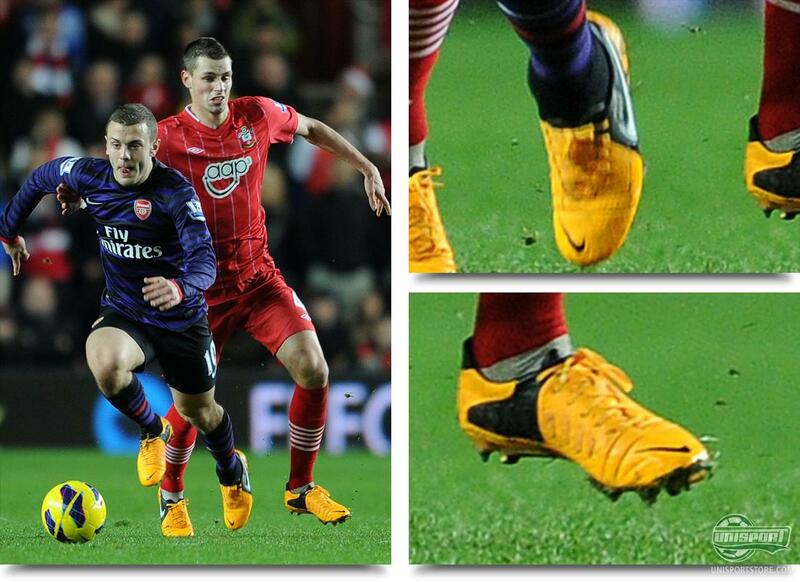 Jack Wilshere (Arsenal) & Morgen Schneiderlin (Southampton)  Nike CTR360 Maestri III ACC Citrus/White/Black In their last game The Gunners faced one of the bottom teams in the Premier League, Southampton. The red clad army from St. Mary's were however far from a push-over and actually deserved the win against Arsenal, when the they mistakenly had a goal disallowed for a push on Koscielny. The game ended 1-1, but setting the result aside, there were some really notable spots in and among. Jack Wilshere and Morgen Schneiderlin used this game to début their new Nike CTR360 Maestri III ACC Citrus/White/Black, that really attracts some attention on the pitch. 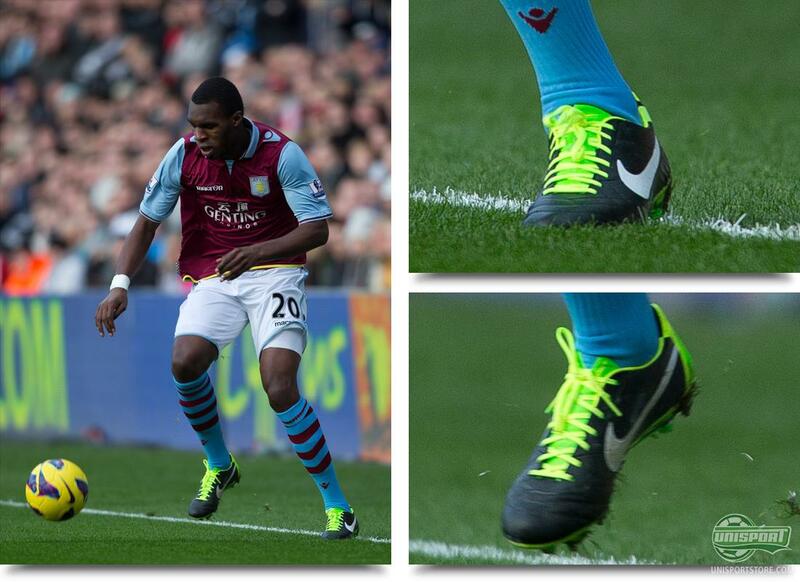 Christian Benteke (Aston Villa)  Nike Tiempo Legend IV ACC White/Black/Electric Green The young Villans team has recently looked like a team in free fall, but one man has refused to lie down  and that's no matter which defender he faced. 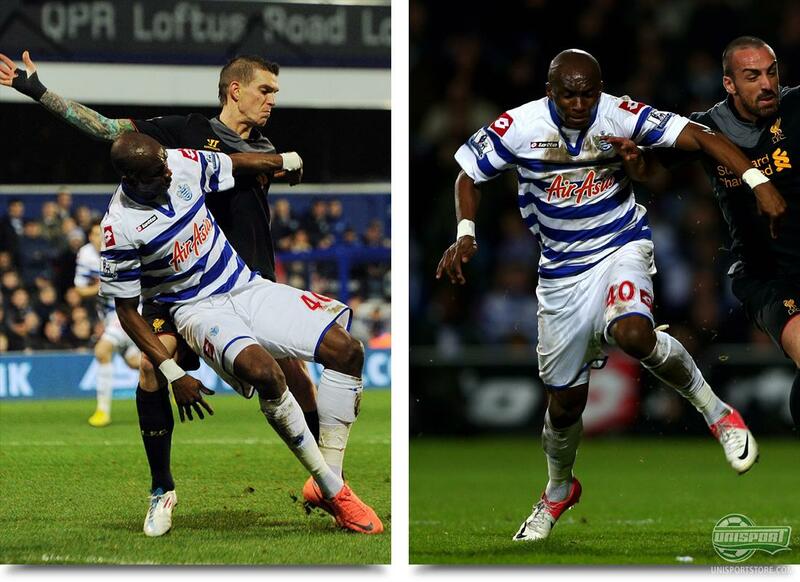 Recently he caused Daniel Agger and Liverpool massive problems, just as he did against Michael Laudrups Swansea. In the last mentioned game he also earned a place in our boot spots, when he sported the brand new Nike Tiempo Legend IV ACC White/Black/Electric Green and also coolly converted a penalty in true Balotelli style. 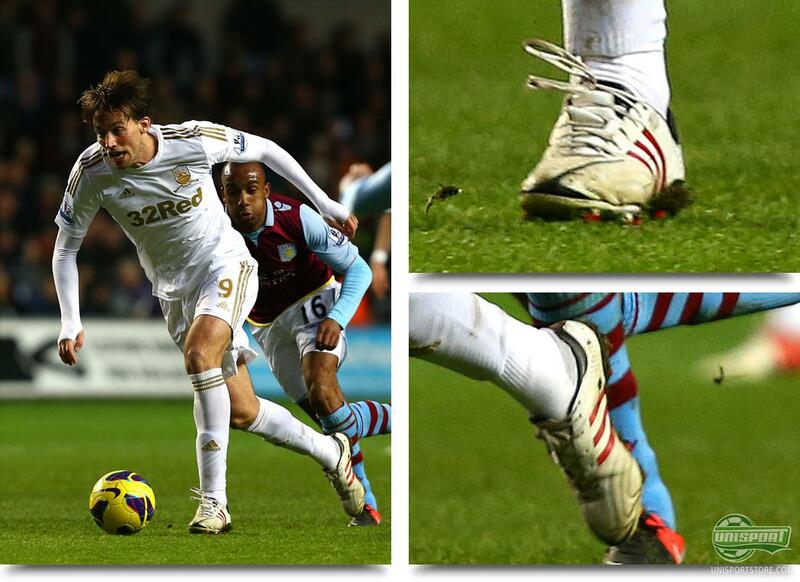 Michu Pérez Cuesta (Swansea)  Adidas Adipure 11Pro White/Red/Black Michael Laudrups fantastic bargain buy was back in action, after serving a one match sideline-ban and even though he struggled to find his way to the back of the net against Aston Villa, we still noticed his choice of boot. It was unsurprisingly a pair of Adidas Adipure 11Pro White/Red/Black, but what was interesting is that the Spaniard has now played in every single colourway of the boot. Something other Adipure-profiles can't boast, (We name no names, Cough Schweinsteiger Cough). 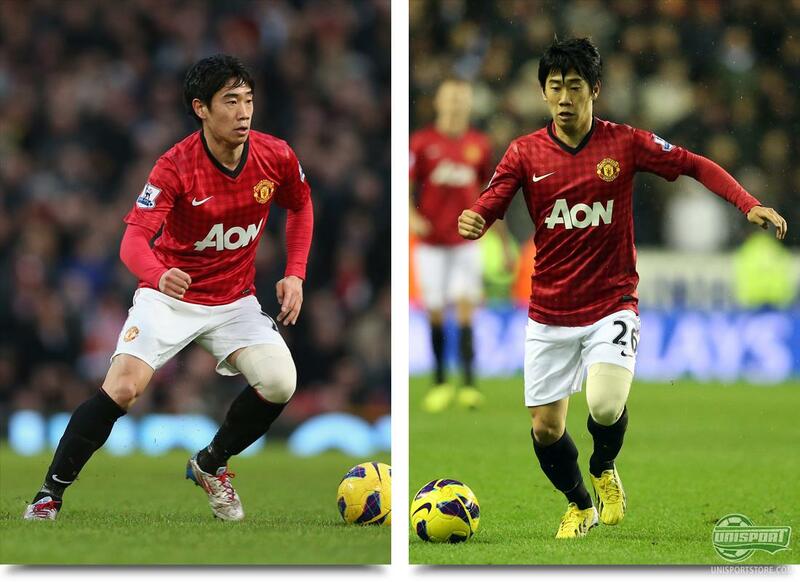 Shinji Kagawa (Manchester United)  Adidas F50 Adizero Custom & Adidas F50 Adizero Yellow/Black The small Japanese midfielder made his long awaited comeback, when he was in the starting line-up against West Bromwich. On this occasion most of you probably spotted his pretty special boots, that turned out to be a pair of the former generation Adidas F50 Adizero, that he created in collaboration with Adidas. - Something you can read about here. 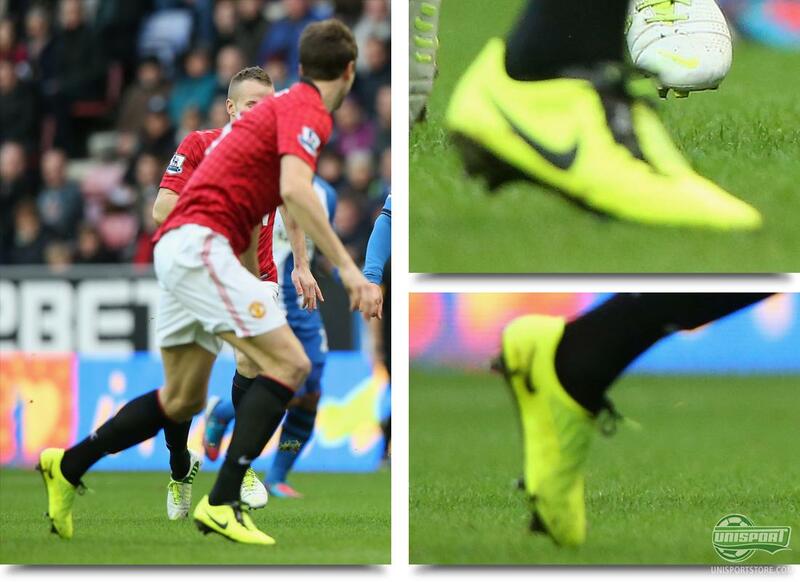 The game after Kagawa again featured, but this time it was with the new Adidas F50 Adizero Yellow/Black on his feet. 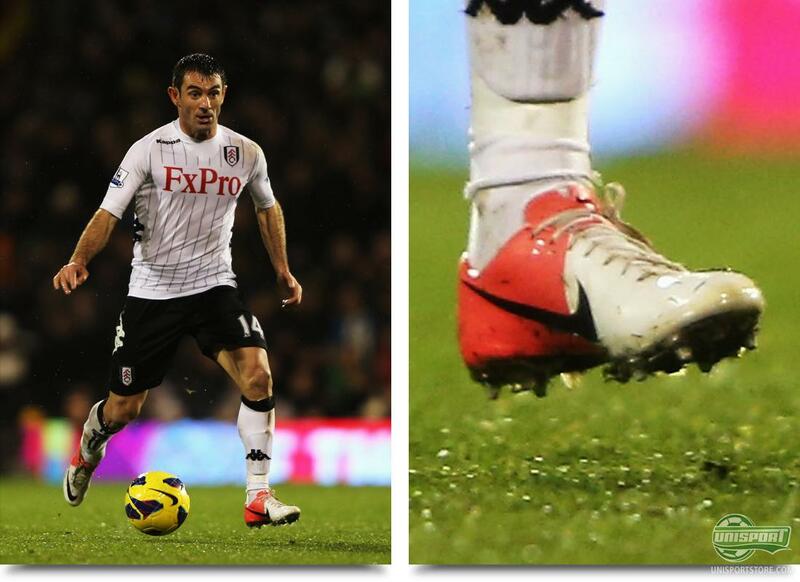 Giorgios Karagounis (Fulham)  Nike Mercurial Vapor VIII Clash White/Red The London clubs new recruit shocked us all, when he showed off a pair of Nike GS2 ACC White/Black, but those days seem to be numbered. Karagounis has in the last couple of days completed his move, back to his good old Nike Mercurial Vapor VIII Clash White/Red and what is behind this switch remains an enigma of some magnitude. 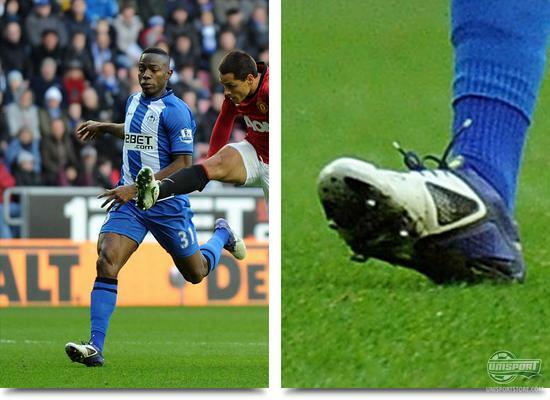 He has earlier in 2012 played in Adidas Predator LZ, but he appears to have switched to American Nike, even though he is a few colourways behind. 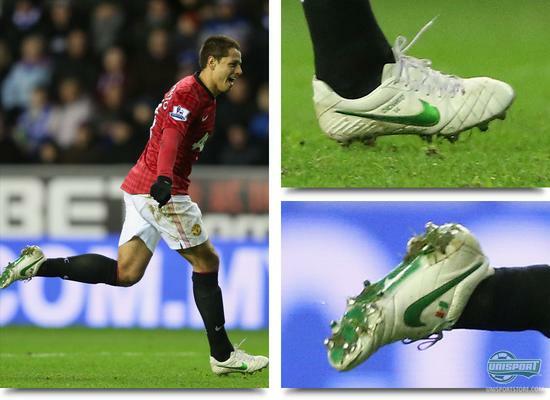 Javier Hernandez (Manchester United)  Nike Tiempo Legend IV White/Green These days you can't spell the Mexican above name without writing goal. Every time he plays, he scores. Once again Chicharito was jolly on the spot, when he netted twice against the bottom team from Wigan and it seems hard not to compare him to The Baby-faced Assasin, Ole Gunnar Solskjaer. The Red Devils number 14 is stubbornly holding on to his Nike Tiempo Legend IV White/Green and who can blame him? - There's goals in them. Maynor Figueroa (Wigan)  Nike CTR360 Maestri II White/Silver/Purple Regardless of being on the receiving end of a bit of a slap, Wigans Honduran defender actually played an excellent game of football. He has on other occasions showed he possesses quite an impressive boot wardrobe, as we have spotted him in anything from Adidas F50 Adizero to Nike T90 Laser III. The collection does however not end here, when he trooped up against Manchester United in a pair of Nike CTR360 Maestri II White/Silver/Purple. What will he do next? Matt Jarvis (West Ham) & Elliot Bennett (Norwich)  Nike Tiempo Legend IV ACC White/Black/Electric Green We also caught a double spot in the game between West Ham and Norwich, where the new Nike Tiempo Legend IV ACC White/Black/Electric Green got a chance to strut its stuff. 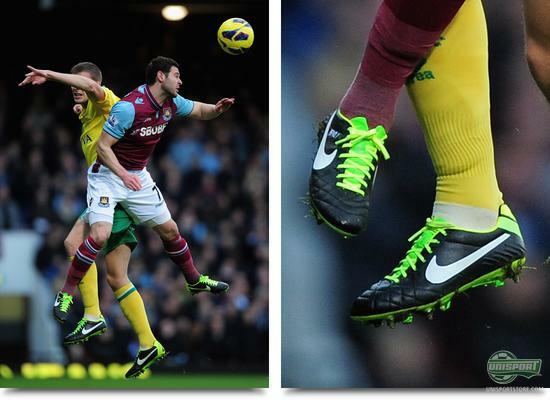 It was Matt Jarvis from West Ham and Elliot Bennett from Norwich, that got to show off the latest colourway. This also means that there is no professionals in the other colourway, White/Black/Total Crimson. Do you think we will see it on the feet of a star or two? Stephane M'Bia (QPR)  Nike Mercurial Vapor VIII Mango & Clash White/Red If there's a team who have been struggling in recent times it's been Queens Park Rangers. The London side have bought big name players like Granero and Julio Cesar, but this doesn't seem to have done much for them and regardless of their impressive and elating win against Chelsea last night, they remain absolute rock-bottom of the Premier League. They should however not be cheated out of a spot in our boot spots and it was Stephane M'bia, who has in the last couple of week gone through the entire catalogue of the Mercurial series. In the break against Liverpool he changed out his Nike Mercurial Vapor VIII Mango for a pair of Clash White Red, as well as opting for a pair of Retro/Total Orange/Challenge Red against Chelsea. Michael Dawson & Gylfi Sigurdsson (Tottenham)  Under Armour Hydrastrike Pro II & Nike CTR360 Maestri III ACC Citrus/White/Black André Villas-Boas' men are really starting to look like team worthy of a spot in next years Champions League. Spurs are in a very impressive streak of games, with convincing victories and this was something Reading felt, as they were swept aside 3-1, with Michael Dawson quite surprisingly on the scoreboard. 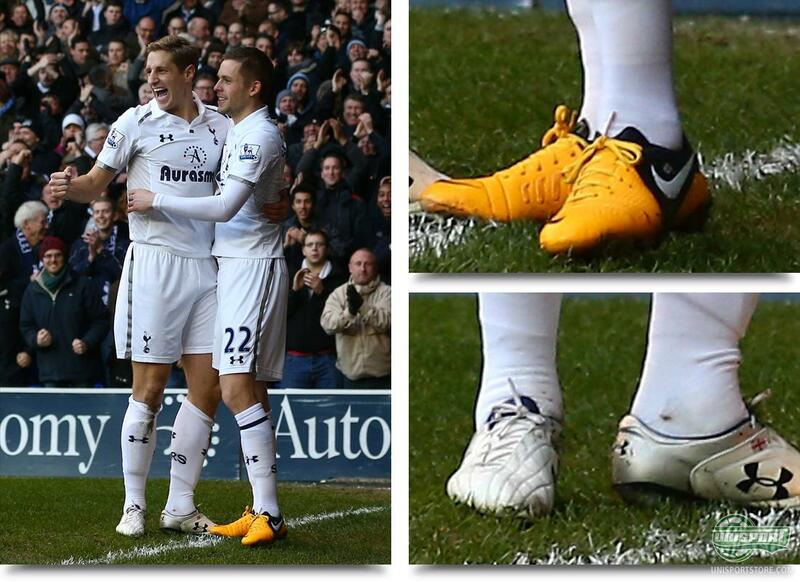 He did so in a pair of sweet Under Armour Hydrastrike Pro II on his feet and this was duly celebrated with his teammate Gylfi Sigurdsson, who showed off the new Nike CTR360 Maestri III ACC Citrus/White/Black. Jonny Evans (Manchester United)  Nike T90 Laser IV ACC Volt/Black/Citron We also got to see the new colourway of the Nike T90 Laser IV ACC Volt/Black/Citron and this was spotted in the heart of Manchester Uniteds defence. Rio Ferdinand and Jonny Evans both played in them and were later joined by Chris Smalling, who likewise sported the new shiny boots. It's just one of two colourways for the T90 Laser IV and it will be fun to find out, if any pro's prefer the other model, that is made with an upper from Kanga-lite ahead of synthetic. David James (Bournemouth)  Umbro SX Valor Black/White When we delve deeper into the lower leagues in England, there's always a guaranteed spot or two, of the highest order. 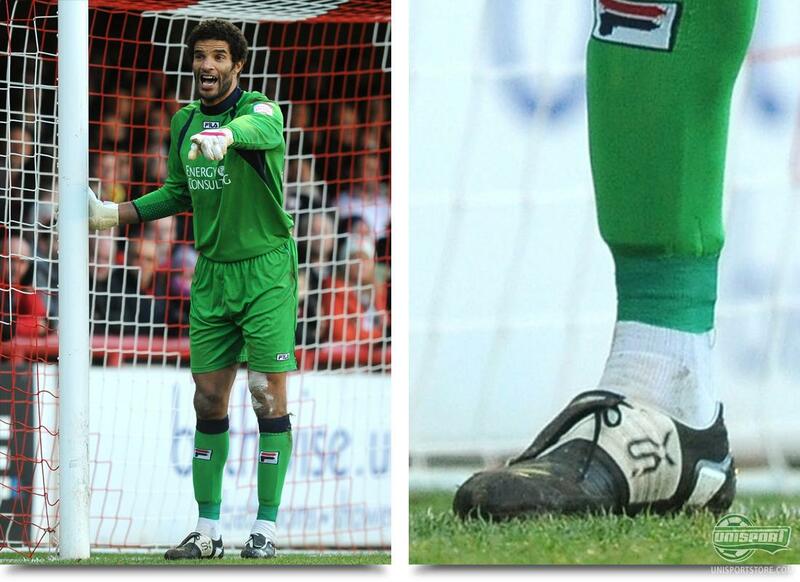 We spotted the former Top goalkeeper David James in a rare choice of boot. The Englishman, who has a past in both Portsmouth, Aston Villa and Liverpool had brought out a true classic, in the form of Umbro SX Valor in a black/White colourway. It really brings back memories of Umbros, sadly fading, time of grandeur and we remember players like John Terry use the boot, so this is definitely a choice, that Mr. James deserves some credit for. 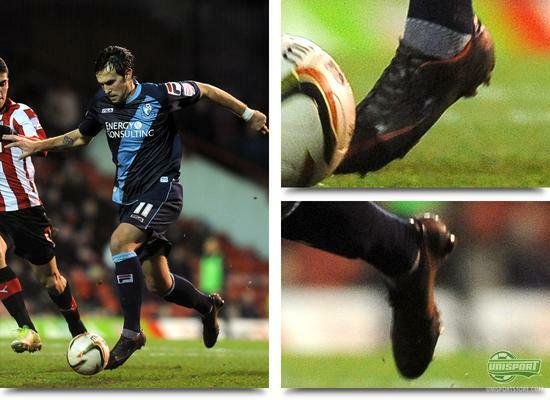 Charlie Daniels (Bournemouth)  Nike Mercurial Vapor VIII Custom Black/Orange Yet another spot from the lower leagues of England and this was even at the feet of formerly mentioned James' teammate. Charlie Daniels has been for a visit at NikeID to design his own pair of Nike Mercurial Vapor VIII in a cheeky Black/Orange colourway. A super cool combination, that reminds us a bit of the popular Nike Mercurial Vapor Superfly II Black/Circuit Orange/Silver, of which Didier Drogba held on to for quite a while. Zlatan Ibrahimovic (PSG)  Nike Mercurial Vapor IX Blackout Wow, wow, wow! What was that!? With the rumours of a new generation of Nikes Mercurial-collection alight, the Swedish superstar fuels the fire. These last couple of days he has been training in a pair of blackoutted boots, that we on the background of the upper, can adjudge to not being a pair of Vapor VIII. This could very well be a pair of Nike Mercurial Vapor IX, that we are really looking forward to see be publicised. What do you expect the boot to look like? Lucas Moura (PSG)  Adidas F50 Adizero Yellow/Black The financially blessed club has been bringing in the one world star after the other, and now they have recruited yet another. The signature of the Brazilian Lucas has been greatly sought after, but it was PSG who lured him in and he can now call himself a PSG-player. He has been using the new generation of Adidas F50 Adizero and it will be exciting to see, if he can evolve his already tremendous talent, in the coming season. We have been around the world this week and have captured quite a large portion of boot spots. It was also the first of the year and let us hope, that the rest of years spots, can uphold the same standards. Which of this weeks spots what your favourite? Share your comments in the box down below.